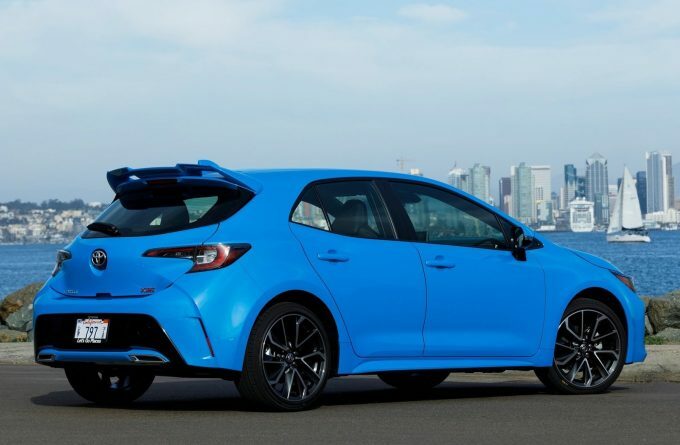 The Toyota Corolla has dominated not only Australia’s small car segment for the last decade, but also spent many of those years as the best-selling car. 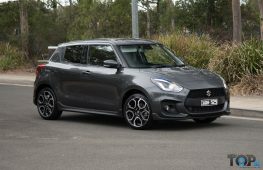 Lately, though, that crown has come under threat by the likes of Mazda3 and Hyundai i30, which have pipped it quite regularly for top honours, sales-wise. 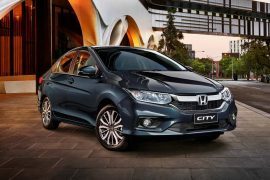 Its core attributes have always been solid build, low maintenance and dependability. 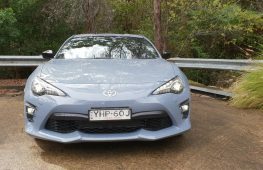 Toyota’s general reputation of bulletproof and fuss-free motoring has been hard-earned over decades, usually by a risk-averse approach of finding a basic formula that works and sticking to it. 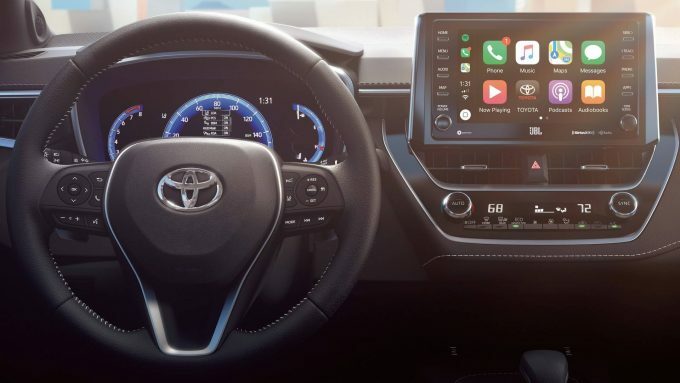 With buyers increasingly prioritising the latest technology and a more stimulating driving experience, Corolla’s comprehensive rethink aims at broadening its appeal beyond their normal customer base, and conquering sales from other brands. 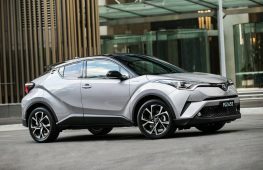 With that in mind, Toyota’s recognisable small car is about to undergo one of the biggest transformations in its 52-year history. 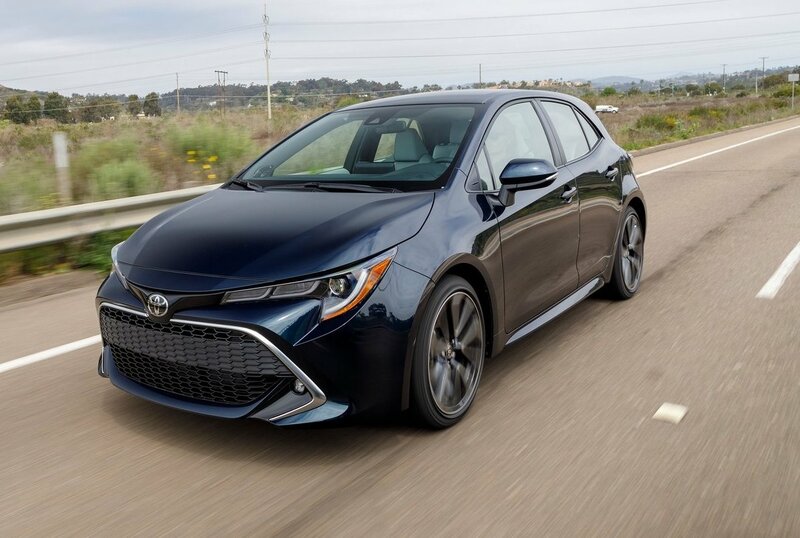 Read on to find out how dramatic the changes will be, and why 2019 Toyota Corolla needs to bring its A-game to stay desirable. Let’s have a preview of what it offers before it gets here this August. The 2019 Toyota Corolla utilises the TNGA, or Toyota New Global Architecture, which is a new-from-the ground up foundation for most of Toyota’s vehicles. 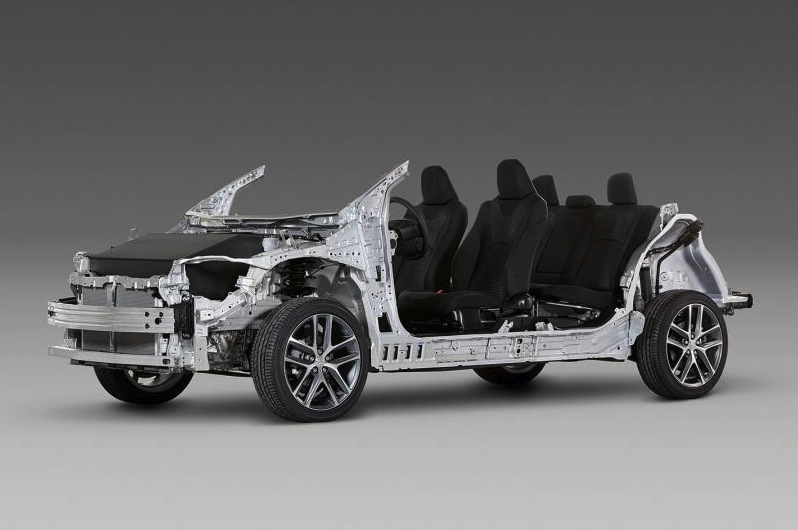 Already seen in the C-HR, Prius and Camry, the platform was designed to dramatically improve stiffness, safety, driving pleasure and refinement of all new Toyota and Lexus vehicles. McPherson Strut front and double wishbone rear suspension should guarantee excellent road holding and driving dynamics. 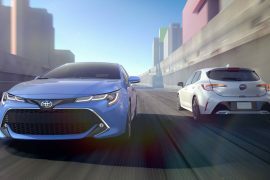 Like the C-HR small SUV, the 2019 Corolla will be offered with cutting edge safety technology, including adaptive cruise control, that uses radar to maintain a safe distance between you and the vehicle in front. 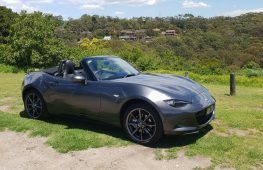 Best of all, this works regardless of whether you opt for the six-speed manual or the automatic version. 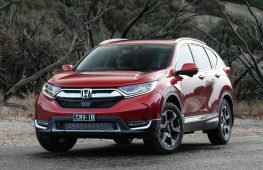 Other Safety Sense features include lane keep assist, road sign reading, lane-departure warning, automatic high beam and rear cross-traffic alert. 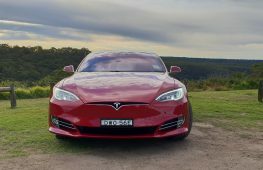 Autonomous emergency braking with pedestrian detection will be included too. It’s not just the chassis that’s a clean-sheet design, a new ‘Dynamic Force’ 2.0-litre engine will be standard, which boasts an un-matchable 40 percent thermal efficiency. 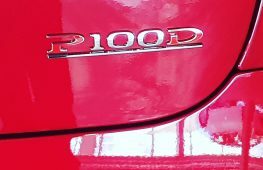 Outputs of 125kW and 200Nm will put the current leader, the Hyundai i30 2.0 in the shade, while probably offering superior fuel eocnomy. Expect an improvement on today’s 6.1L/100km figure, let alone the base i30’s comparitively prodigious 7.4L/100km. The hybrid alternative will be an adaptation of the 1.8-litre Atkinson Cycle engine and electric motor combination from the Prius. One criticism of CVT- or continuously variable-type automatic transmissions- is the ‘rubber band’ effect that dulls engine responsiveness and causes annoying lag off the line. 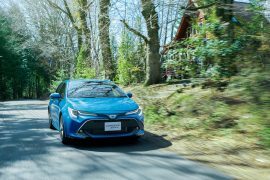 Not anymore, as Toyota’s new “Dynamic Shift” gearbox combines the efficiency of a CVT gearbox with a conventional first gear for eager off-the-mark acceleration. 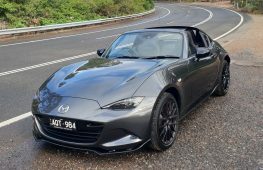 For those who prefer to row their own, a new six-speed manual will be available, with automatic rev-matching in between gear changes. This means that a sporty flavour will be afforded to Corolla like never before. As mentioned, the hybrid system will be a derivative of the one used in the current Prius. 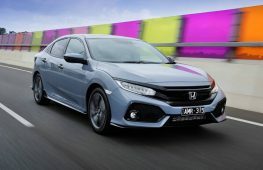 That means a 1.8-litre four-cylinder developing 72kW and 142Nm married to an electric motor, for a nominal output of 90kW. In that car, it manages a parsimonious 3.4L/100km. 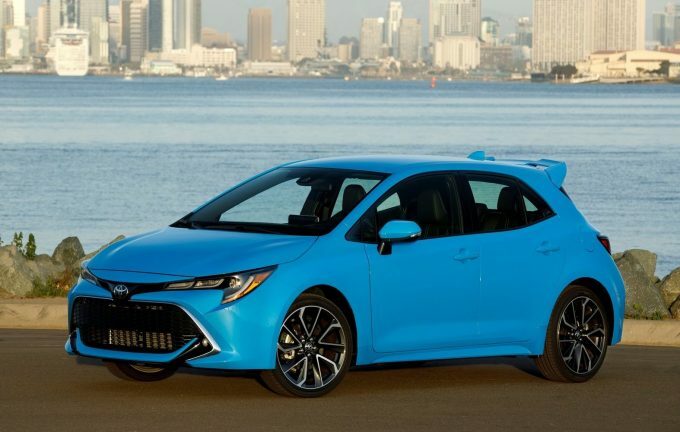 The Corolla won’t be as aerodynamic (or weird-looking), so expect the actual figure to be somewhere between the Prius and the outgoing model’s 4.1L/100km. Like the latest Camry, hybridization will be available across the range. 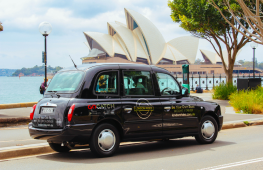 All dimensions have grown compared to today’s model, including a 2640mm wheelbase, 1790mm of width, 1437mm of height and 4368mm of overall length. This compares to the outgoing model’s 4300mm length, 2600mm wheelbase, 1760mm of width and 1475mm of height. This means the new car will be considerably roomier, more hunkered down to the road and better packaged than before. The 2019 Corolla will be the first Australian-delivered Toyota to offer Apple CarPlay, for iPhone users to project their smartphone interface onto the 8.0-inch infotainment screen. Bad news for Android, however, as there is no news on that being adopted at this stage. 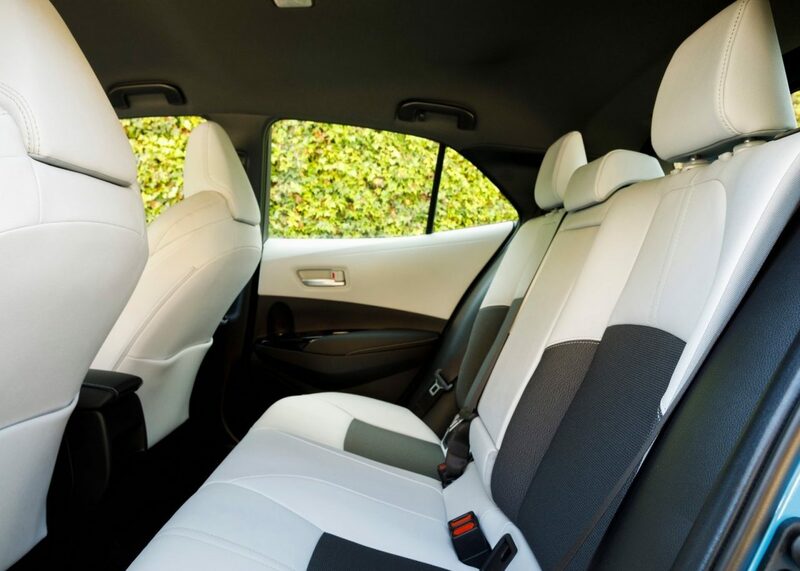 In addition, a digital instrument cluster, premium interior materials including leather, new seats should take the fight to Volkswagen Golf in terms of material quality. Seeing as this Corolla will sit atop the most capable and sophisticated chassis of any in reent memory, this opens up the possibility for a hot hatch version to rival Ford Focus ST, Renault Sport Megane and Volkswagen Golf GTI. The last time Toyota made a hot Corolla was the mid-2000s Sportivo with the revvy 2ZZ-GE motor, developing 141kW. 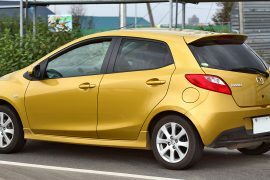 For an idea of how it could turn out, one need only look at the European market Yaris GRMN with its rorty supercharged engine. While Corolla will be sharper and better-equipped than ever, its arch-enemies are all undergoing major redesigns after it lands in August 2018. 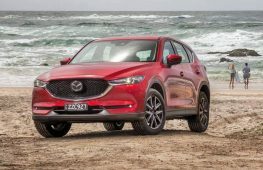 These include the new Ford Focus around the same time, an all-new Volkswagen Golf VII in June 2019, and the next Mazda3 with a world-first sparkless ignition petrol engine, for diesel-beating fuel economy. Despite being near the end of its life, the current ‘Rolla has managed to fend off arguably more competent rivals with 15,363 sales to the end of May 2018 (VFACTS), so it’d be pretty foolish to bet against the new one continuing that trend.